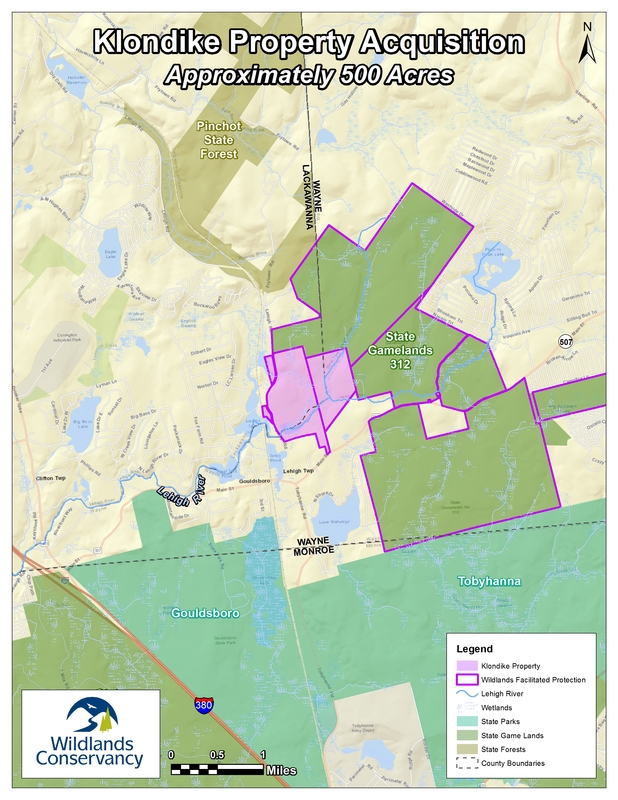 In March 2018, Wildlands permanently protected approximately 500 critical acres situated near the headwaters of the Lehigh River, an area that supports drinking water for 180,000 local residents. The wooded property, known locally as “Klondike”, contains several miles of the Lehigh River and more than 200 acres of special wetlands. 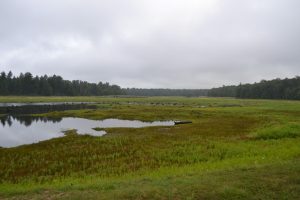 The parcel was immediately transferred to the Pennsylvania Game Commission to expand State Game Lands 312, which Wildlands and partners protected in 1991. 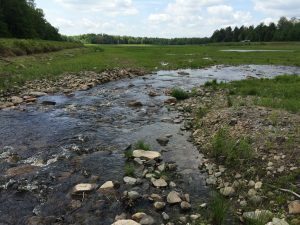 Forwarding the protection of the Klondike and similar vast bands of water-cleaning forests is the Delaware River Watershed Initiative (DRWI), an unprecedented collaboration across four states for clean, healthy water, for the ultimate protection of the Delaware River. 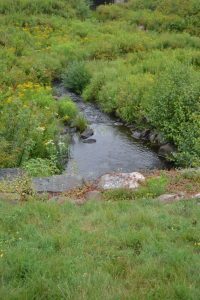 In 2014, the William Penn Foundation tapped Wildlands to spearhead the DRWI initiative in the Upper Lehigh, where the land-trust aggregates findings from stream assessments, water-quality monitoring and inventories of protected and developed lands to identify the most important lands for ensuring clean water. 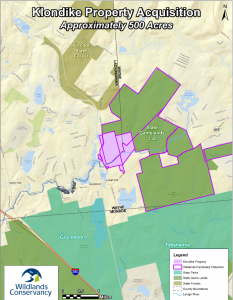 Wildlands has a target to protect an additional 5,000 acres in this geography in the next three to six years in collaboration with its partners: Audubon Pennsylvania, Natural Lands, North Branch Land Trust, North Pocono Care, The Nature Conservancy and Pocono Heritage Land Trust. Wildlands acknowledges the support of its giving community, especially the Pennsylvania Department of Conservation and Natural Resources, Pennsylvania Game Commission, the Palmerton Natural Resource Trustee Council, the Open Space Institute and the William Penn Foundation, for providing funding for the purchase of these 500 acres. Also notable, are generous contributions from sportsmen’s groups including, Hokendauqua Trout Unlimited, National Wild Turkey Federation (Pennsylvania, Walking Purchase, and Jerry Zimmerman chapters), Northampton County Federation of Sportsmen and the Lehigh Valley Chapter of the Ruffed Grouse Society, along with private donations.